I left the theatre last Sunday with a strange feeling. I walked to my car, loaded with costumes and flowers and other “backstage” stuff that I had accumulated over two weeks of being ultra focused on a play I was doing. Once I settled into my car, I took a deep breathe and relaxed for a few minutes before ever putting the key in the ignition. I just sat there. I felt happy, for sure. The play had gone well. The audience had really responded. I felt connected to my character, to the other characters. I had given an authentic performance. My castmates had done beautiful work. We put on a really good play. And I knew in that moment that I had never felt what I was feeling before. I am 44 years old and I have never sat back and just felt proud of myself. Why? Have I never done anything to be proud of before? And driving along I searched back through my life’s accomplishments, projects I had managed, other plays I have been in, events I was in charge of. Yes, I have done good work before. Definitely. But at the end of the project I simply moved on. I may have thought about what I could have done better or what I would change if I did a similar project in the future. If someone said, great work, I might have smiled and said thank you but internally I would have quickly discounted the compliment. But I do not believe that I have ever spent even one minute in my 44 years simply patting myself on the back. It boggles my mind how very true that statement is. It makes me wonder if it’s a me thing, this inability to reward myself for a job well done, or a societal thing, or a female thing, or simply an insecurity thing? Is there anything wrong with feeling proud of yourself? I think it’s a deep rooted belief. Pride is one of the seven deadly sins. 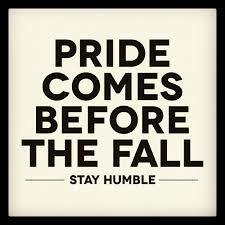 We are taught not to be prideful. 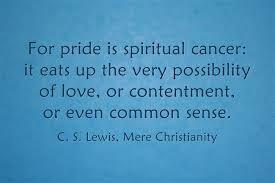 We are taught that pride separates us from God, from love. But what does pride actually mean? That doesn’t seem like a bad thing. Allowing yourself to feel pleasure at the end of a job well done shouldn’t be a bad thing. As I drove home, I allowed myself to feel proud, to feel pleasure at having dreamed of a project, of going out and making it come true, and then having it be something beautiful and good. Together with the other people on the team, we did a beautiful and good piece of theatre. I am proud of us. It’s unbelievable that I have never allowed myself to feel a little pride before. And I did it. All the way home. That 20 minutes, I danced, cried a little, giggled a little, marveled a little that we did it, I DID IT. Then I got home and walked in the house. Into three barking dogs, three needing kids, a sink full of dishes, seven loads of laundry and a lot of other “real life” crap. Nope, nothing bad happened when I let myself feel proud. Life went on.